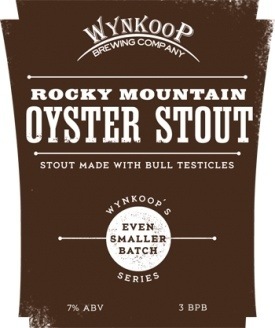 Just in time for GABF… Rocky Mountain Oyster Stout!? Phew. I read this link and between my stomach doing flips, my mind is opening a sliver of curiosity… Don’t worry, I’ll let you know how it tastes if I get there! To see the entire write up for this unique stout, read here! Uh…. no thank you. I’m just not that adventurous.